A collection of prize-winning stories by The New Yorker-debuted Australian that is "by turns funny, wise, and achingly sad" (Stephanie Bishop, Sydney Morning Herald). 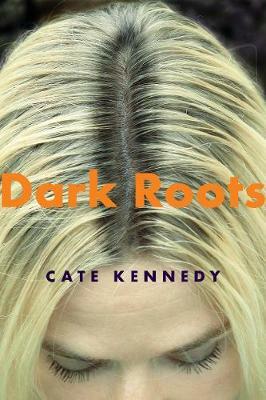 Australian Cate Kennedy delivers a mesmerizing story collection that travels to the deepest depths of the human psyche. In these sublimely sophisticated and compulsively readable tales, Kennedy opens up worlds of finely observed detail to explore the collision between simmering inner lives and the cold outside world. Her stories are populated by people on the brink: a woman floundering with her own loss and emotional immobility as her lover lies in a coma; a neglected wife who cannot convince her husband of the truth about his two shamelessly libidinous friends; or a married woman realizes that her too-tight wedding ring isn't the only thing that's stuck in her relationship. Each character must make a choice and none is without consequence--even the smallest decisions have the power to destroy or renew, to recover and relinquish. Devastating, evocative, and richly comic, Dark Roots deftly unveils the traumas that incite us to desperate measures and the coincidences that drive our lives. This arresting collection introduces a new master of the short story. "A major talent . . . Kennedy has a near pitch-perfect voice and a feeling for the precise moment when stars move in the cosmos." "Stunning . . . Each story picks you up and takes you out of your life and smack bang into the middle of another place and time where the troubles and joys are laid bare and stripped back to their essence with incredibly spare and gifted writing." A collection of prize-winning stories by The New Yorker--debuted Australian that is "by turns funny, wise, and achingly sad"